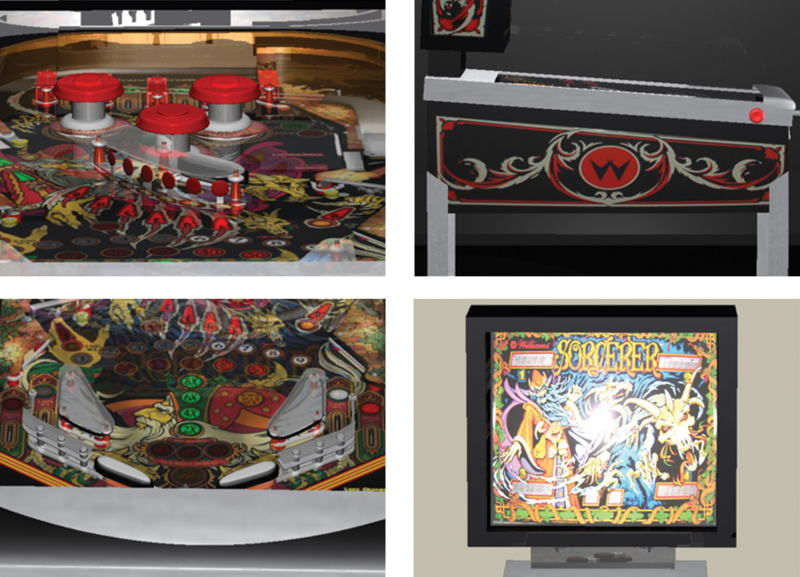 The pinball machine was made by the revolved tool and polygon shapes. To build this I took pictures of an actual pinball machine. I also had to research to find out the dimensions pinball machine and the parts. I made everything in separate parts that way I was able to have a lot more detail. It also made it easier to texture.